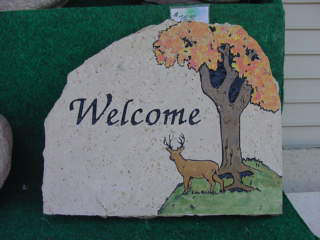 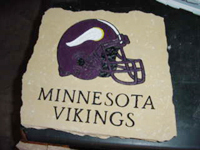 Welcome family and friends to your home with a custom made decorative stone. 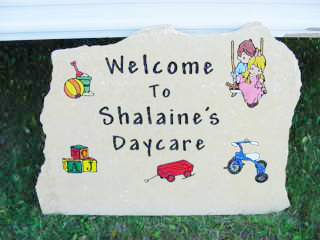 We have thousands of designs to choose from and each stone is unique. 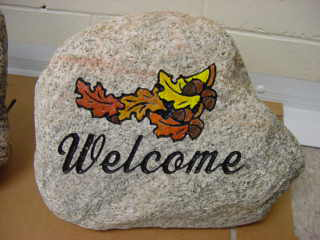 Decorative stones are great indoors and outdoors. 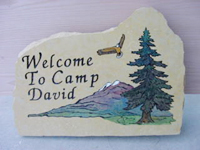 Compliment the exterior of your home with a beautiful stone engraved with your address. 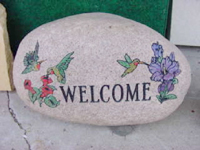 Or simply invite guests to your home with a beautifully engraved and hand painted picture. 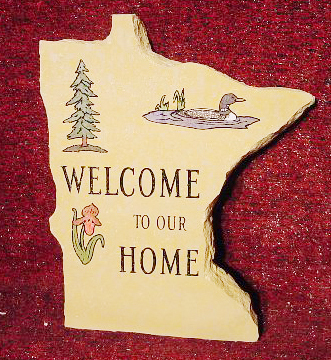 Don't stop at the front door. 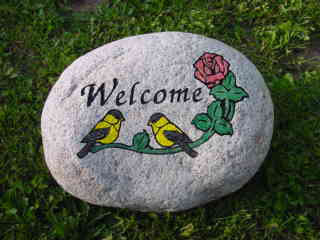 Decorative stones are beautiful in the garden. 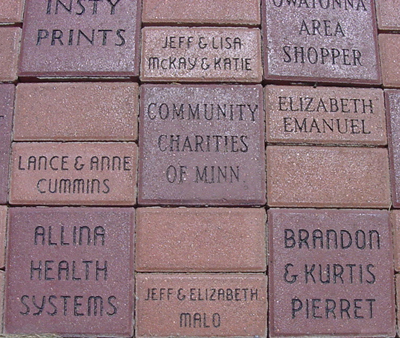 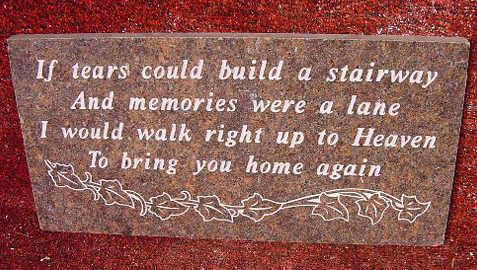 Compliment your flower beds with a line of poetry or a pretty picture engraved on a stone. 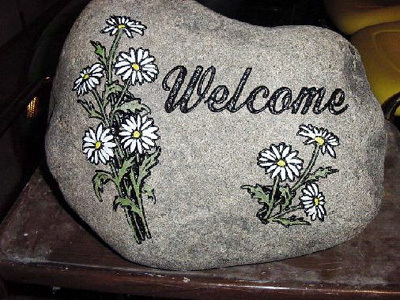 They are sure to enhance any garden. 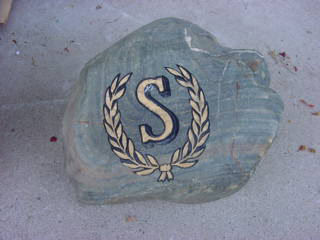 Bring the outdoors in with a hand crafted stone. 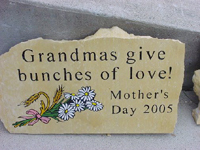 Customize your stone with a picture or a favorite verse to bring out the style of your décor.